Commercial court quashes $1.4 bln proceedings concerning Sakhalin-I project | Russian Legal Information Agency (RAPSI). MOSCOW, November 2 (RAPSI) - The Sakhalin Commercial Court has quashed proceedings on a lawsuit filed by Russia’s oil corporation Rosneft demanding to collect about 89 billion rubles ($1.4 billion) from five companies involved in the international project Sakhalin-I, RAPSI has learnt in the court. Earlier, the claimant said that the parties were taking steps to settle the dispute. The plaintiff wanted to recover money allegedly accumulated by unjust enrichment as well as interest for using other entity’s funds between July 2015 and May 2018. 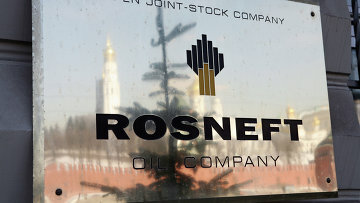 Rosneft sought recovery of 26.7 billion rubles ($407 million) from Exxon Neftegas Limited and Sakhalin Oil and Gas Development Co Ltd. (SODESCO); 17.8 billion rubles ($271.5 million) from Indian Videsh Ltd.; 10.2 billion rubles ($155.5 million) from Sakhalinmorneftegz-Shelf company; 7.5 billion rubles ($114 million) from RN-Astra. In 2017, Russian Prime Minister Dmitry Medvedev signed a decree ordering amicable agreement with Exxon Neftegas Limited controlled by the U.S. oil and gas corporation oil and gas company ExxonMobil in a tax dispute over Sakhalin-I. Finance Minister Anton Siluanov was ordered to sign the settlement on behalf of the Russian Federation. Exxon Neftegas Limited has lodged a lawsuit with the Arbitration Institute of the Stockholm Chamber of Commerce (SCC) seeking tax refund which the company claims to have overpaid over the past seven years under the Sakhalin-I Production Sharing Agreement. Reportedly, the agreement was signed in the mid-1990s when Russian legislation stipulated 35% profit tax rates that were reduced to 20% in 2009. Russian authorities claimed that provisions were not subject to change. Sakhalin-I is one of Russia’s largest projects involving direct foreign investments, as it is centered on the use of advanced technology to extract resources in subarctic conditions.